shop@greatcanadiansoap.com Our general email address. Your email will be forwarded to the appropriate people. Please note that by submitting communications to us, you agree to allow us to use any comments and/or images in our website, newsletter, promotional material or our communications with others. Thanks! We are open from 9:00am until 5:00pm, Monday through Saturday. 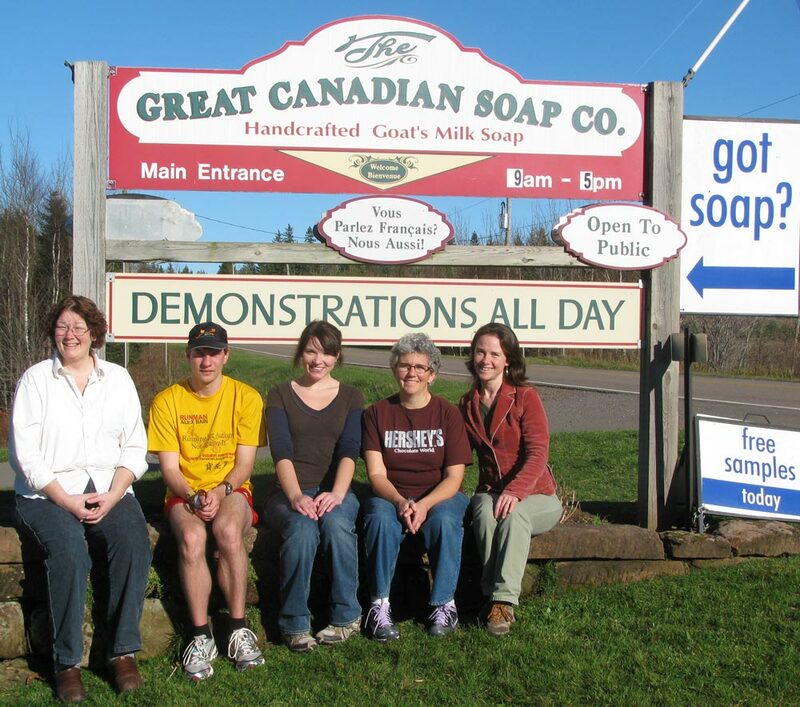 Clicking on the map below will bring up Google’s Street View of The Great Canadian Soap Company as it looked in the summer of 2009. We are in the middle of a major landscaping “makeover” so you’ll notice quite a few changes since 2009. We still have out big, vertical, Canadian flags , the Shop looks the same & hasn’t moved and neither has our green barn.